A Cumnock bowling club is set to receive an external makeover, with the help of a £5,300 grant from the Banks Community Fund. The Glaisnock Valley Bowling Club successfully won funding for the much-needed renovation, which will be the first repair or update work carried out on the building since it opened in 1979. The two-phase project will start with the replacement of all guttering and cladding before being professionally painted. Officials from the club say they are delighted with the generous grant, saying it will free up funds to be spent on work inside the club, including the bowling surface itself. May Wood, Secretary at Glaisnock Valley Bowling Club said: “The bowling club has near to 100 members and for them it is an important social hub all year round. “The improvements will free up funds that we can now invest elsewhere, such as on the greens and indoor facilities and will save money in the future that would have otherwise been spent on repair work. Banks Community Fund is a charitable fund set up by the Banks Group, the Hamilton-based property and renewable energy business to support community groups, voluntary organisations and environmental projects in the communities that hostits developments and operations.The fund can be used for everything from church hall repairs to community garden schemes while charities, youth groups and voluntary organisations are also urged to apply. Banks Renewables, has submitted proposals for its 26 turbine Lethans Wind Farm situated east of New Cumnock in East Ayrshire and is currently awaiting planning determination from The Scottish Government’s Energy Consent and Deployment Unit and East Ayrshire Council. In addition to providing green energy, Banks Renewables strives to provide communities that host its wind farms with benefits that will make a meaningful, positive and lasting difference to the lives of those living closest to the sites – such as the support granted to Glaisnock Valley Bowling Club. If Lethans Wind Farm is approved, Banks Renewables has offered a community partnership agreement, which would see the local community benefiting from a 2.5% community revenue share in the wind farm, which would result in an estimated £15 million being available over the 25 year lifetime of the wind farm to support key projects in the area. In addition to the community revenue share, Banks has also offered the community the opportunity to purchase up to 5% stake in Lethans Wind Farm. 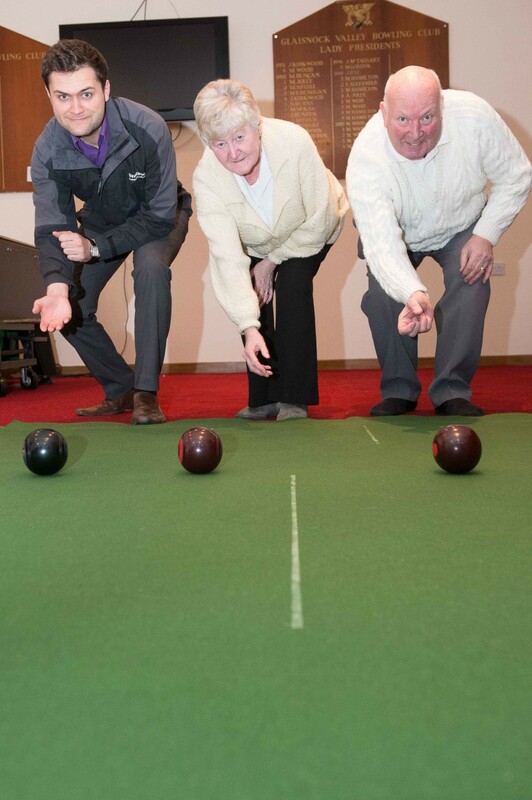 Colin Anderson, development director of Banks Renewables, said: “Glaisnock Valley Bowling Club is clearly a key social hub for its members and the wider community. “I am delighted they have been able to access this fund as it will help to secure the club’s future and focus funds on other aspects of the building. Should Lethans Wind Farm gain approval, Banks is committed to maximising local economic benefits and supporting local firms. With the launch last year of Banks’ Connect2Renewables Charter (see: http://www.banksgroup.co.uk/connect2renewables/downloads/ to download a pdf version of the Charter) the company is leading the way in providing direct support for local people and businesses. This is set to result in a minimum of £44m of direct local investment should Lethans be approved. Issued on behalf of Banks Renewables by www.holyroodpr.co.uk. To find out how you can boost your business profile with help from our PR experts call us on 0131 561 2244 or fill in the contact form below and we will get back to you.